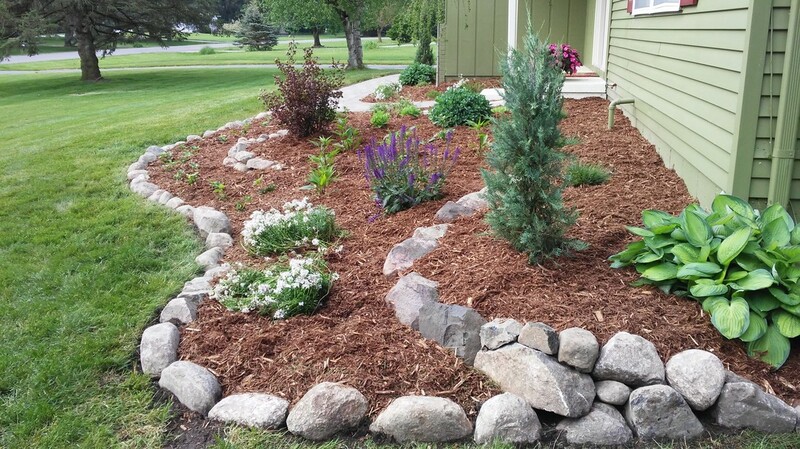 ​ Landscaping can make a home more attractive from the street, create a private oasis for relaxing, or direct the flow of water to keep your home from being damaged during the wet spring season. From formal gardens to woodland landscapes of native plants, there is something to suite everyone's style. Tear-outs - Sometimes plants can become far too overgrown or simply a change is needed. In this case, plants can be removed and hauled away. The landscape of your property can have a large impact on the appearance of your home, how your outdoor space is used and how much money and time it takes to maintain your landscaping. There are many variables to consider and having experience designing, creating and taking care of the different elements of landscaping can give us the fore site to develop a plan that avoids common problems. If you plan on still being in your home in the future, putting time and effort into a plan designed by someone who knows that the landscape will come to be in the future will be well worth it.